Vic's Air Conditioning is a family own company that has been providing top quality service to homes and businesses within the Coachella Valley for 16+ years. We maintain a very high rating based on Trane requirements and are a Trane Certified Comfort Specialist dealer. Whether you need a quick replacement part or are looking into getting a new home air conditioning system, we have everything you need. 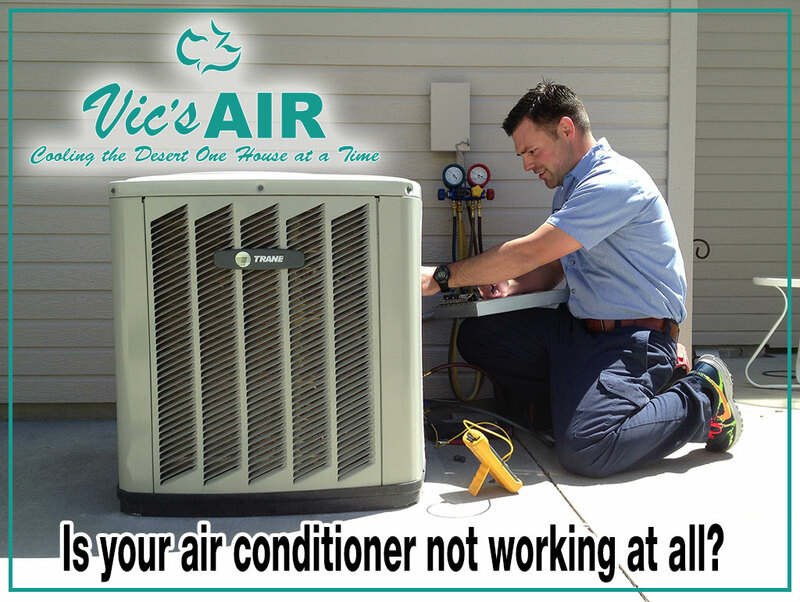 The Vic's Air Conditioning team strives to provide our customers with the finest experience in home comfort. Our NATE certified technicians are committed to providing the best service at the best price, every time. Our product knowledge and expertise alongside a company culture of high standards and integrity is how we assure our clients they receive the service they deserve. Stay cool all summer long with the help of Vic's Air Conditioning's professional technicians. We offer everything from simple checkups and repairs to system replacements and complete home comfort system installations. Give us a call today at 760-343-5033 for timely service at a great price, backed by 16 years of professional experience and a 100% satisfaction guarantee! Additionally, make sure you're getting the most efficient cooling possible for your home with our specialized air balancing services. Up to 6 remote sensors will be installed throughout your home to monitor and balance the temperature in each individual room!